I read with delight on the BBC news website this morning that a rescue mission to renew failing systems and install new instruments to the Hubble space telescope will be going ahead after it was canceled after the space shuttle Columbia disaster. This important for several reasons. Some of the most amazing discoveries have been made about our universe with the help of Hubble and given the rate of these discoveries its entirely possible that there are many more waiting to happen if Hubble is given the chance. This is of course not to mention that some of the most beautiful images of our universe have come in through its mirror system – images that have left the world in awe. In an attempt to share with you the importance of this rescue mission I’ve uploaded a set of images from Hubble that I feel justifies all the effort being made and some more. what is the names of those images? 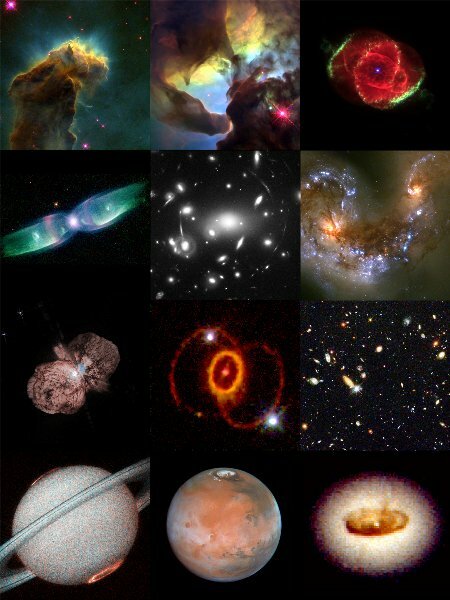 They are just a collection of images I found on the web that have been taken by the Hubble Space Telescope – I too would love to know what wonders of the universe the images actually depict. Where are we in reference to the galaxies?